I was driving to the mall one day and two police cars speed around me. I was prompted by the Holy Spirit to pray a very simple, juvenile prayer, “Lord, help them catch the bad guy.” I continued driving and in a few minutes attempted to make a right hand turn, but a police officer was waving at me to stop. I was shocked to see several police cars scattered awkwardly in the road and two officers standing with their guns drawn on a suspect who was kneeling. He then voluntarily went facedown on the ground. It was surreal, just like a scene from a movie. I believe my prayer helped the officers safely capture their suspect. Do we realize the power of our prayer? God wants us to engage with Him. He wants us to change the world through prayer. He prompts us on how to pray, just as I was that day. My simple prayer, “Help them catch the bad guys,” engaged the Father and He commanded His angels concerning the prayer. This same situation may have turned out differently without heavenly intervention. 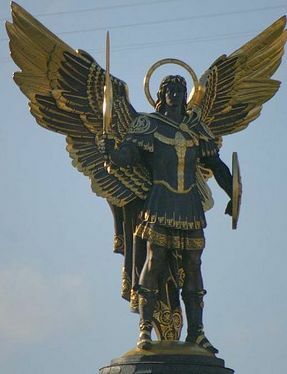 God is the Lord of the Angel Army. He is called the Lord of Hosts. When we engage our Father, He dispatches and releases angels and assignments. He gave wisdom and clarity to the officers that day, making their arrest successful. When I hear emergency vehicle sirens, I feel it is an immediate call to prayer. Someone is in distress. A police office or fireman may be risking his or her life to help others. A grandfather may be in the back of the ambulance needing immediate heavenly intervention. If it was your relative injured and alone inside the ambulance, wouldn’t you want someone interceding for them? When I get to heaven I will hear about the people I have prayed for in my “Drive-by Prayers.” I pray out loud in faith, believing that the prayer of a righteous man (or woman) is powerful and effective. My grandchildren have heard me and since have also prayed drive-by prayers. Will you become a Drive-by Prayer Warrior? Heaven is waiting for you to join the team.